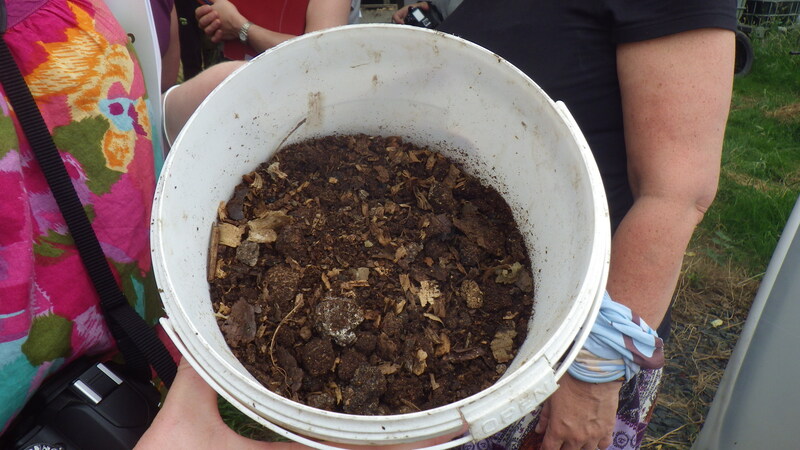 Having written about urine as a source of nitrogen recently, I feel compelled to also mention that other sort of human waste that can be composted and used to enhance fertility. This seems to be increasingly referred to as ‘humanure’, but we’re really talking poo. 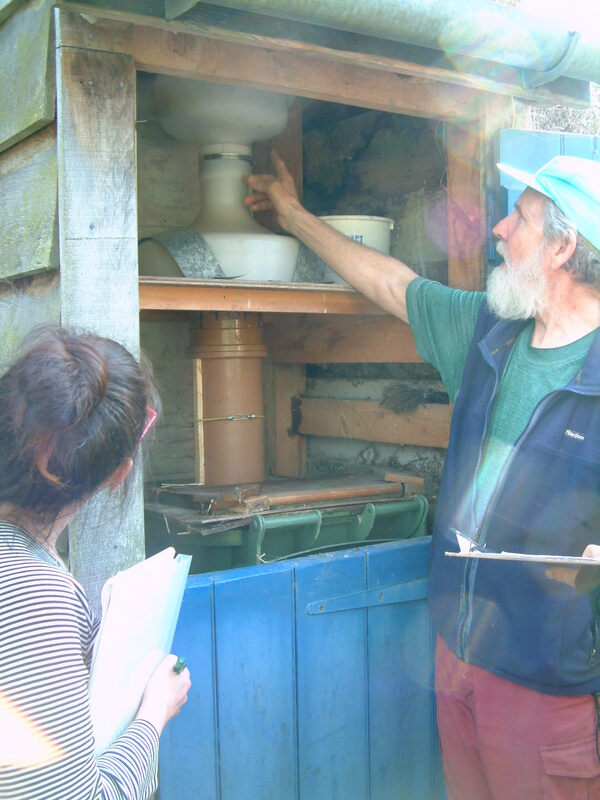 When you live in an ordinary house on an ordinary street it’s fairly difficult to make use of this resource, although the Aquatron composting toilet can be fitted in an upstairs bathroom and there are other technical options such as the Separett range which require a fan to be run constantly, thus using electricity. And so here, chez snail, this is one source of fertility that we don’t exploit. However, if you live in a different setting (as a number of my friends do) then you can collect and process humanure and use it to improve the fertility of your land. 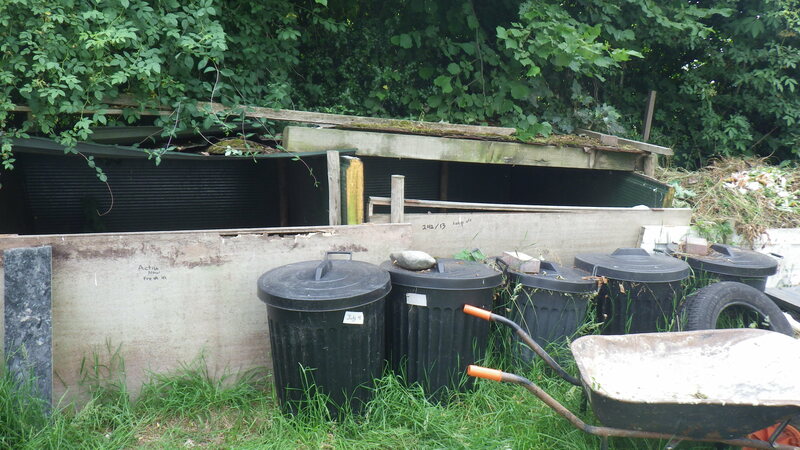 Many and varied are the compost loos that I have visited, but strangely I have very few pictures! The one thing they all seem to have in common is how civilised and un-smelly they are – often beautifully decorated. In some cases all waste is collected in a deep pit below the toilet structure and simply covered with a sprinkling of wood-shavings after each ‘deposit’, before it is eventually closed off, and allowed to compost for up to a couple of years. In others the waste is collected in a receptacle of some sort before being removed and composted away from the toilet itself. 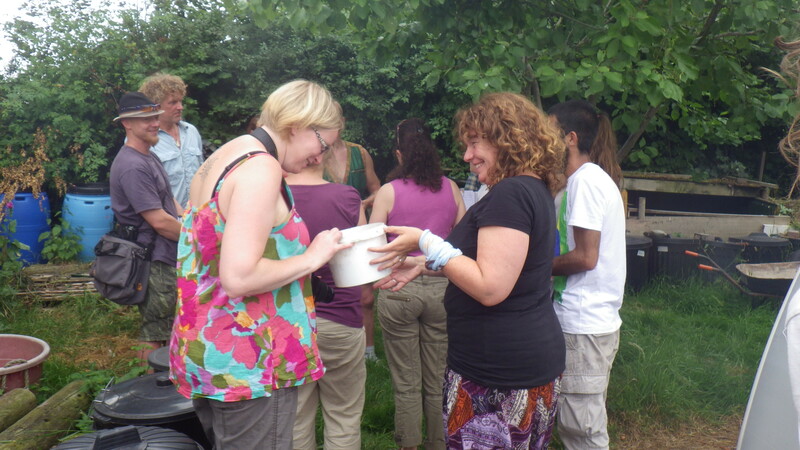 The latter is how the compost toilets work at Karuna, but in addition they ask users to separate urine (which is composted with straw) from solid waste (which goes into their large composting bins, tucked away behind the polytunnel). Interestingly, the process at Karuna seems to generate no smell and the end product is an appealing-looking compost that they have used extensively on site to enhance tree growth. So, whilst this is not an option open to everyone, it’s interesting to know that our waste need not go to waste. well, it works for some people!